Chargers are designed for use in inside permises with standard conditions (humidity, temperature, dustness). While operated in enviroment with higher dustness it is necessary to shorten maintanance interval. Chargers are supplied by one phase mains, suitable protection has to be installed in wiring of the charging station. Chargers are intended for cyclic charging of traction batteries, chargers could be operated continually (3-shift). Forced cooling is ensured by inbuild fans. 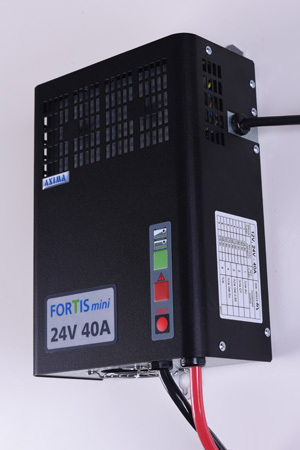 Chargers are designed for charging of 12V or 24V batteries, maximal charging current is 20A / 40A /60A. 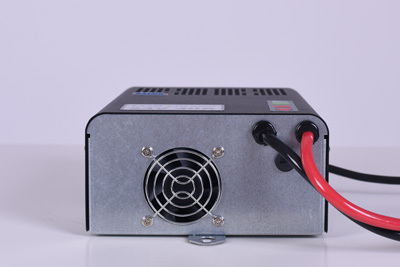 The charging current is automatically adjusted by setting of battery capacity, charging current in main charging phase is limited by 20A/100Ah of choosed capacity or is limited by maximal current of the charger. 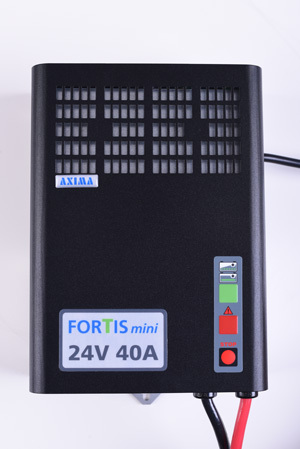 FORTIS mini battery chargers used HF technology with MOSFET transistors. Charging is controled by microprocessor control unit. Charging phases and important stages of the charger are signalled by LED lights.